Maggie Gobran is both a saint and a social entrepreneur. The daughter of an upper-middle-class family in Cairo’s Coptic Orthodox Christian community, Mama Maggie, as she is known, made the radical decision in her mid-thirties to give up her fashionable clothes and lifestyle to dedicate herself to serving children who live in the slums and garbage areas of Egypt. Today, Stephen’s Children, the charity she started, serves 32,000 families each year. As a former management consultant and professor at the American University of Cairo, she has established an organizational structure that enables her to spend up to two months a year in a monastery, praying for the ministry as 1,500 staff carry out the work of Stephen’s Children. Recently, Mama Maggie was one of five finalists for the Arab Hope Makers Award given in Dubai. Multiple times she has been nominated for the Nobel Peace Prize by influential people throughout Europe and the USA. 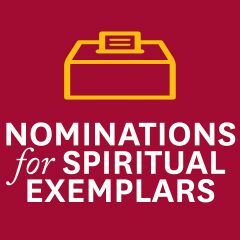 This video was produced as part of “Spiritual Exemplars: A Global Project on Engaged Spirituality” at the USC Center for Religion and Civic Culture, with support from the John Templeton Foundation and Templeton Religion Trust. Opinions expressed do not necessarily reflect the views of the supporting organizations.